Need to be in Cambridge for a few days? Live in Boston and have friends and relations visiting? 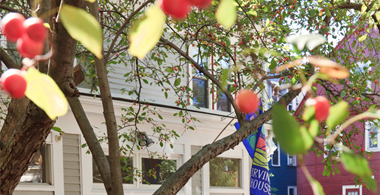 Stay at Irving House and all the proceeds benefit Tucker Stilley and The Permanent Record. AHOB Member, Rachael Solem has generously donated 10 room nights per year. AHOB folk pay the going rate for the size of the room and the season ($135 - 275), and all proceeds will go to Tucker and his Permanent Record! If you are not traveling to Cambridge, maybe you want to give a gift certificate, or pass along the info, to someone who is!